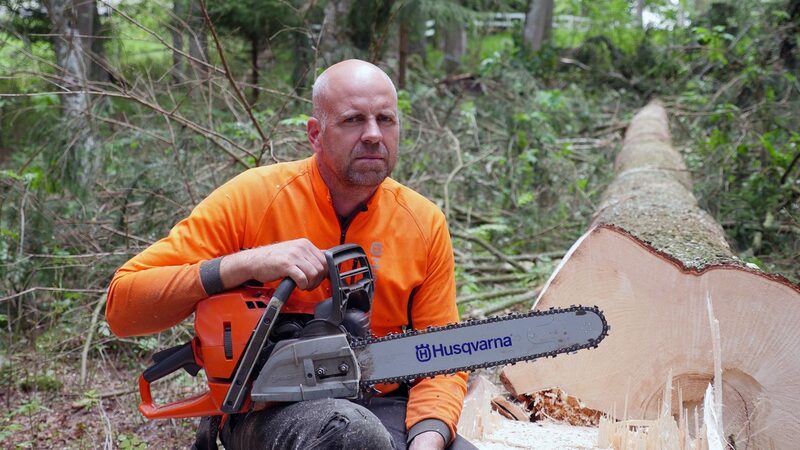 So, we got our hands on a pre production Husqvarna 572xp. The purpose was to test it out and give the new chainsaw a first review. 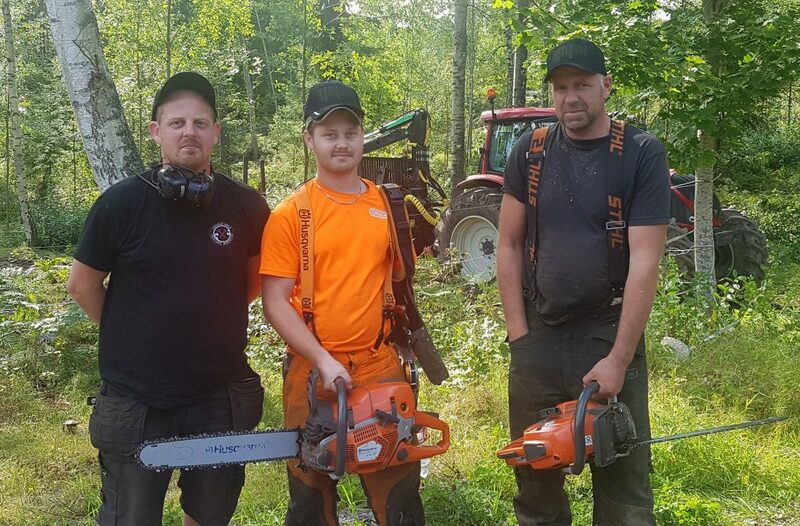 To make it properly we hired a professional logger that now has tried out the 572xp in different kinds of fellings. 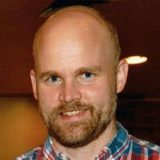 The test pilot is Lars-Erik Larsson that works as a professional logger in Sweden and performs different kinds of logging with 10 employees. So, what did Lars-Erik think of the 572XP? Well, first off, he definitely wanted to try the 572xp for a longer period to give a full review of the saw. We’ll see if that can be done but as a first impression, it is an awesome chainsaw. The 572xp is a rapid, screaming powerhouse. It sure has attitude. It is well balanced and offers good working conditions for the user. That is in low vibrations and usage. It is well suitable for logging, what we in Sweden call seed trees. That is big pine trees that are left on a reafforestation and that needs to be cut down when they have left seeds for a new forest. It is also suitable for felling in front of a tree harvester. This is quite common in the Nordic countries if the logging site has difficult terrain or extremely big trees. 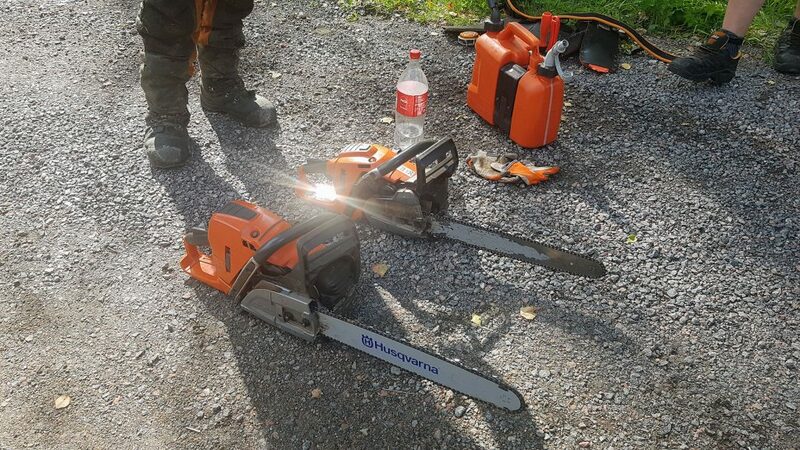 The 572xp is made for heavy logging but with the new C85 saw chain it is also suitable for delimbing, hence you need only one chainsaw when, often walking, to the site. 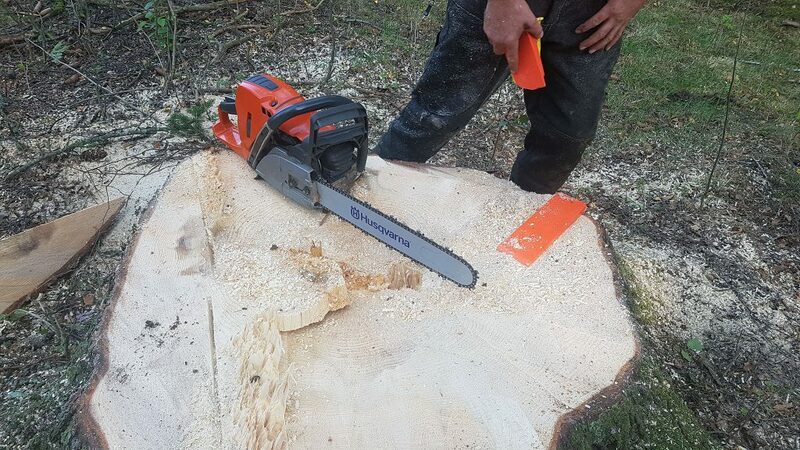 According to Lars-Erik 572xp has become an all-round felling saw also good for delimbing. Well, a lot of Pros has already been stated. It is a rapid powerhouse with an attitude. It cuts very efficiently without being aggressive. With this quite short test period, it can be dangerous to make to many judgments. One possible con can be that the 572xp is a little more thirsty than the saws Lars-Erik currently using. We have to make a reservation here, that is due to the fact that we did not measure logging performance in a proper way. Comparing to for example Husqy 560 the 572xp is a lot faster and efficient and therefore you get the job done faster. 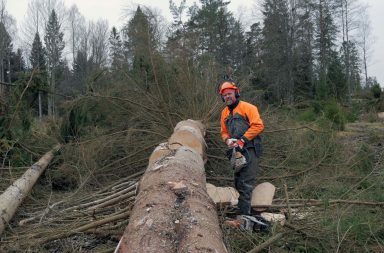 Lars-Erik has an internal goal of fuel consumption when logging big trees – over 3 cubic meters of wood per refuel. 572xp ended up more or less exactly on that figure, but bear in mind that we did not measure or compare time here! 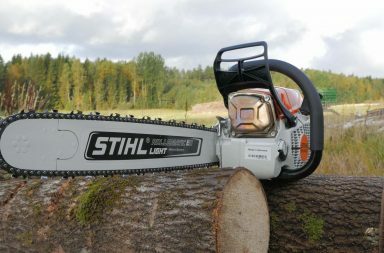 As for now, Lars-Eriks company uses 60cc saws as “bulk saws”. 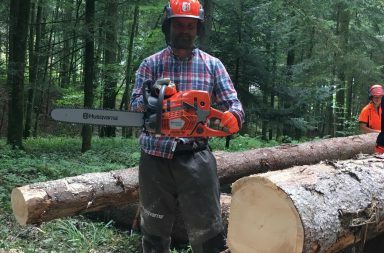 When doing big trees he also has a Jonsered 2095 for felling. Weight is a sensitive issue, even in the forest. The 572xp is around 600 grams heavier than 560xp. In a manual loggers world this is a lot of extra weight and the extra weight must hold a lot of advantages. The 572XP seems to have those advantages. You have more information about the test in the video below, please check it out and hit thumb up if you like it. Feel free to subscribe to our channel as well.